Even the much threaded SARS officer still get fake. Ah, Naija get mind biko. 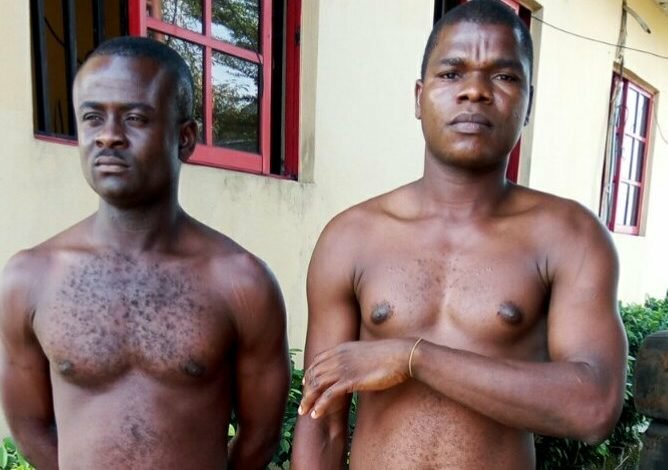 A Commander of the Federal Special Anti-Robbery Squad (F-SARS), Kenneth Obunwa, and a fake officer of F-SARS, Oluwagbenga Abe, have been arrested in Rivers State by the authentic operatives of Akin Fakorede-led F-SARS and they will soon appear in court. Obunwa, an indigene of Egi in Ogba/Egbema/Ndoni Local Government Area of Rivers State and Abe, who hails from Ijero-Ekiti in Ekiti State, both married with children, were arrested on Tuesday morning by operatives of F-SARS at Igwuruta near Port Harcourt in Ikwerre LGA of Rivers state.